// - LA FEMME READERS - //: 3 ARC Book Giveaway of Legacy by Cayla Kluver! 3 ARC Book Giveaway of Legacy by Cayla Kluver! Yay! Another giveaway! If you guys haven't noticed by my review, I'm in love with this book and I'm so happy that Cayla and her marketing agent Natalie are sharing 3 ARC books with all of you! 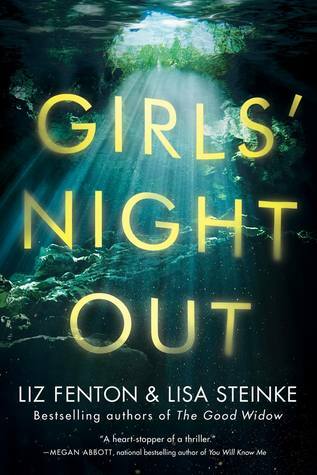 Here's the summary for those of you who aren't familiar with the book: An award-winning YA fantasy debut, 16-year-old novelist Cayla Kluver brings a magical touch to an unrelentingly suspenseful coming-of-age tale. Duty-bound to wed her father’s choice in successor to the throne, Princess Alera of Hytanica believes that she is being forced into the worst of all possible fates—a marriage to the arrogant and hot-tempered suitor, Steldor. When a mysterious boy from enemy Cokyri appears bearing secrets and an entirely different view of what's appropriate behavior for a young lady, Alera learns that her private desires threaten to destroy the kingdom. When Narian’s shocking past comes to light, Alera finds herself in a shadowy world of palace intrigue and ancient blood feuds, facing an uncertain future with dwindling options—and must learn to decide between right and wrong all alone. 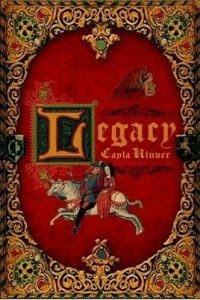 Marked by witty, rapid-fire dialogue and dramatic complexity that belie the writer’s age, Legacy brings a fresh, new sensibility to age-old questions of duty and inheritance and to a young heroine’s quest to find her true voice. -Contest is open for US only. -Their will be 3 different winners. -Deadline: August 30, 2009, winner will be announced on August 31, 2009. Please enter me in your giveaway. I am also a follower. +3 I am already a follower. +1: It all depends on whether I like my father's choice. Otherwise, I'll probably say 'No' and won't budge. +3: You'll see it in my sidebar. +1. I'd be stubborn and resentful about it and probably wouldn't go along even if I liked the guy, but I'd feel bad about it later if something bad to our family because of me. +3 You're on my sidebar here. +1 Being a nice Greek girl, I would be expected to marry the husband my parents picked BUT then again I married the man I fell in love with in real life so why change now? +1 Im following my heart!! Unless I love the guy my parents chose AND he loved me back. +1) No, I don’t think I could marry a guy that was picked for me. +3) I follow your blog. at that age, i probably would have. i don't think i found my own real independence until some time in college. I would follow my heart and run away. Please enter me. Here's my answer: I don't know if I could trust my Dad to pick the right guy because any guy can look great on the outside and be a whole different person on the inside. And it depends completely on this guy's character and how we'd get along. If we were total opposites and couldn't stand each other then I wouldn't even think of marrying him. +1 I'm such a mamby bamby, so here goes... I would trust my father, because he would only ask me to do something like this, if it were in the best interests of the people in his realm. +2 I became a follower. It looks like a good book but I'm not a U.S resident. I would most likely, if the circumstances weren't terrible, stay and do my duty. If he was a brute or a fiend, I would run away or run him through - or have him run through so I can marry my true love (I know.. I'm a horrible person). Of i were a princess and i had to marry a person my father wanted me to, i would just try and work it out just for the sake of pleasing him, but if it isn't then i would follow my heart. I would probably leave behind the life of a princess and run away with a stable boy in a rush of rebellion. I shall blog about you and your lovely giveaway! I'm actually married to a guy my dad introduced me to, so yes, I'd marry the guy my father picked out. I've been wanting to read this book! Thanks for holding a giveaway for it! +1 Well, if my father shows good taste in picking out a husband for me, then yes. Otherwise...I'd have to really think about it. If the guy turned out to be horrible, probably no. My e-mail is lady(dot)dashti(at)gmail(dot)com. +2 I just became follower--I really like your blog! +1 I twittered about the contest at twitter.com/bookbutterfly (it's set on private, though). +3 I linked to this post on my blogs at perfectgoodluck.wordpress.com and bookbutterflyangel.wordpress.com. Also, I put a link on my Facebook (it's set on private, but if you need the link, I can send you the URL of my profile if you'd like). I would follow my heart. I would follow my heart. What's the point in living if you can't enjoy and love life. Please enter me. I'm already a follower. I was always one to do my duty, so I probably would have married him. +1 As a rebel, I would follow my heart. +1 Well, if it was my duty (and assuming I had no one else in mind), then I'd probably marry the guy dad is endorsing. I've been programmed to obey, what can I say? +2 I started following on Blogger. +3 I'm posting this on my sidebar here. Sad to say, I would probably obey my father... I'm duty driven like that. It would depend on so many factors, such as if i like princes that my father doesn't, if my father has good taste, if i'm aging and desperate for marriage! I'd most likely comply because i'm not good with conflict. I would have to follow my heart! I would have to follow my heart. If I didn't none of us would be happy. I think I'm the first prince to answer this question, lol. If the father I have now were the king - sensible considering I am the prince - I would trust him the choose a girl who would be a good queen for the kingdom. But, as a hopeless romantic, I could not be able to just go along with his wishes. I believe in marriages of the heart, not the state. I would have to truly care for the girl to marry her. Sorry, responsibility, heart wins this one. +1 True love is so hard to come by these days so I would follow my heart!!!! Sounds like an intriguing book! Please enter me in the drawing. I think I would have to follow my heart and marry the man I love. I am also following you and I have put a link back to this page on my sidebar. Please Enter Me I Love This book and Want to Get My Friends in on it!!! If I were royalty forced into an arranged marriage, I would probably go along for appearances but then have another guy on the side. If I really didn't like my new husband, I'd arrange an "accident" for him. +1 Answer question + your e-mail address: If you were a prince or a princess and your duty was to marry a person that your father wanted, what would you do? Would you fulfill your responsibility or follow your heart? - I would follow my heart!!! If i were a prince being forced to marry a princess, firstly i would ask what the princess's feelings were about the marriage, i would never force her to do something unwillingly. I would honor her opinion and try to see things from her perspective; secondly, i would do what was best for the kingdom, if i felt incapable of being king, i would give the princess a chance to marry someone she loves and someone who has a better head for the crown. If i were a princess being forced to marry a prince that i didn't know/ love, i would try to find qualities that would be for the betterment of me and my kingdom. If he proves he could be a successful king, wisdom should, in time, make him wise and tolerable as a husband. If there was but a single flaw in his perception of duty, i would pin point this weakness and bring him down. Essentially, i would follow my heart...in a dutiful way. I am currently Following you. I posted a journal on deviantArt for all to see. I also posted comments on numerous accounts on devArt directing them to my journal and Cayla's website. Im so excited about this contest! I don't think I would marry someone just because my father wanted me to. I mean, that's the rest of my life we're talking about! I wouldn't do it. If you were a prince or a princess and your duty was to marry a person that your father wanted, what would you do? Would you fulfill your responsibility or follow your heart? If I were a princess and my duty was to marry a person my father wanted, I would marry the man my father wanted me to. Although right now I would say follow my heart, at the time of Ms. Kluver's novel that would not be the case. Women and young girls would have to follow the advice and instruction of their father. Thus, I would marry the man. If the husband-to-be was not very kind, I would try my hardest to stay with him and endure the marriage. Best of luck choosing a winner! +1 danielleeloko78@aol.com I would follow my heart---duh! I would follow my heart! +3 I already follow you. In a perfect world I'd love the guy I was supposed to marry but bottom line is I'd follow my heart! I would follow my heart. Books look great, please enter me. +1 If possible, I would follow my heart. I would follow my heart - I'm not big on being told what to do. It depends on the circumstances. If it was just a "normal" arranged marriage, with no major benefits or war-aversion plan, then I'd have to follow my heart. But if it was important enough to join together two rival kingdoms to avoid war or face a major conflict, I would feel obligated to fulfill my responsibilities to my kingdom. I would have to follow my heart. No questions about. +1 To be honest, I would never marry anyone that i didn't love- not matter if the king told me to. Unless my father or family would be hurt or impoverished, etc by my actions, I would definitely disobey and follow my own heart's choice. I have always been a person to follow my heart! Oh wow, I really want to read this! +1 I'd follow my heart no matter what. This book sounds really good! Count me in. +1 Forget dear old daddy. I would follow my heart. However, it would be great if the man my father wanted me to marry was the one I was in love with. lol. But in the end my heart would win. Hands down - I would follow my heart! But of course I would try to make it all work in the end. I would follow my heart for a lifetime of love is better then a lifetime without!!! i would do my responsibility and marry who my father wanted me to. In the end though I would follow my heart. :) Thank you for the giveaway!